Unlock iPhone 6 Plus by IMEI. Fast, Safe & Permanent - doctorSIM U.S.A.
Apple's iPhone 6 Plus is the bigger and smarter brother of the iPhone 6. The improvements on the previous version are plentiful including a larger Retina HD 5.5-inch screen with a resolution of 1920x1080 pixels, and a water-resistant, shatterproof Sapphire glass exterior. This model has also been fitted with the very latest low-consuming battery technology...all with the sole objective of making your life better and your smile bigger! 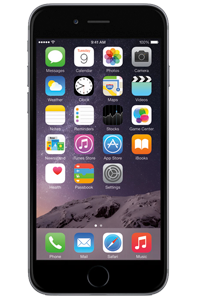 With the iPhone 6 Plus you will be able to communicate, work and organise your day with greater ease and efficiency. 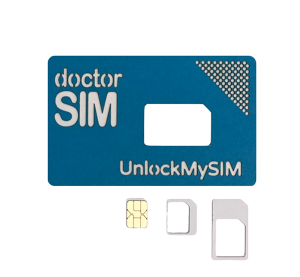 Now all that remains for you to do is unlock your iPhone with doctorSIM so you can use it on any GSM network in the world. The method of unlocking via IMEI used by doctorSIM is the safest method available and will not void the iPhone warranty. In addition, we have the lowest prices and best customer support team standing by to assist throughout the process. As our unlocking services are 100% online, your iPhone never has to leave your side. You can unlock your phone from the comfort of your home and within a matter of hours. doctorSIM offers you a full guarantee which is only available from the global market leader in unlocking phones. Check that your smartphone isn't already unlocked. Use our Locked/Unlocked Status to find out in minutes if your iPhone 6 Plus is still locked or can be used on any GSM network right now. Unlocking iPhone 6 Plus with doctorSIM is rated 4.8 out of 5 based on 19 reviews .